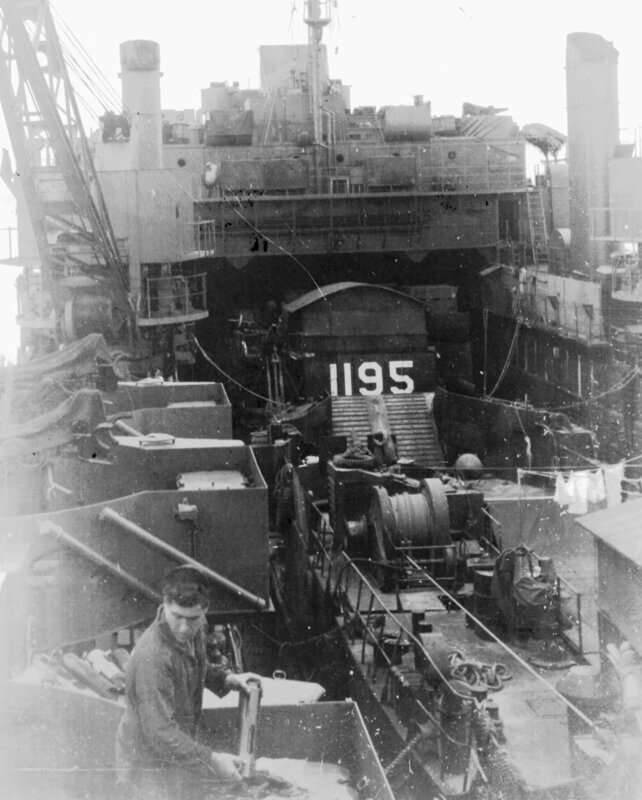 Laid down, 13 May 1944, at Bison Shipbuilding Corp, North Tonawanda, N.Y.
525k LCT-1194 and LCT-1195 beached high and dry at Okinawa in 1945. 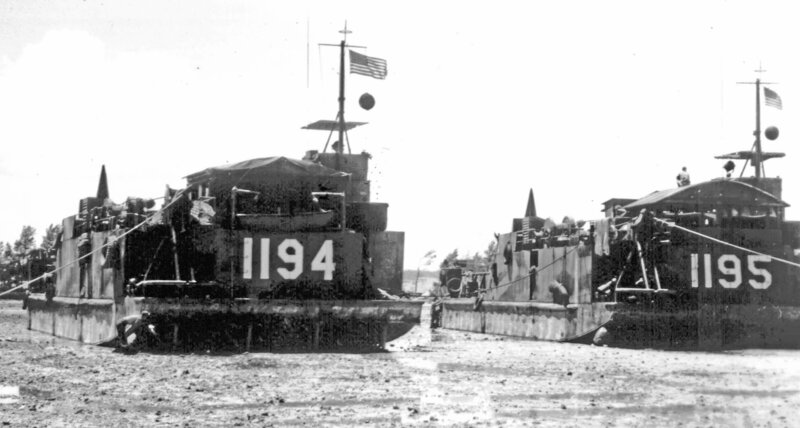 622k LCT-1195 beached at Okinawa in 1945. 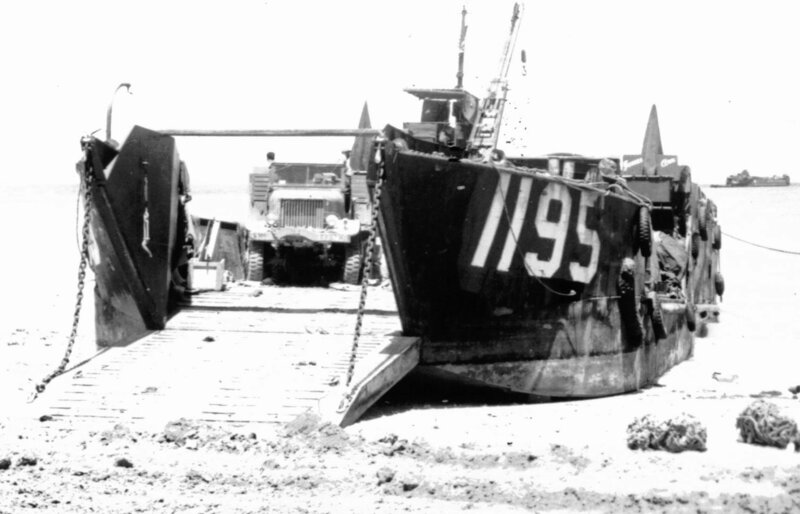 76k LCT-1195 moored at Okinawa in 1945. 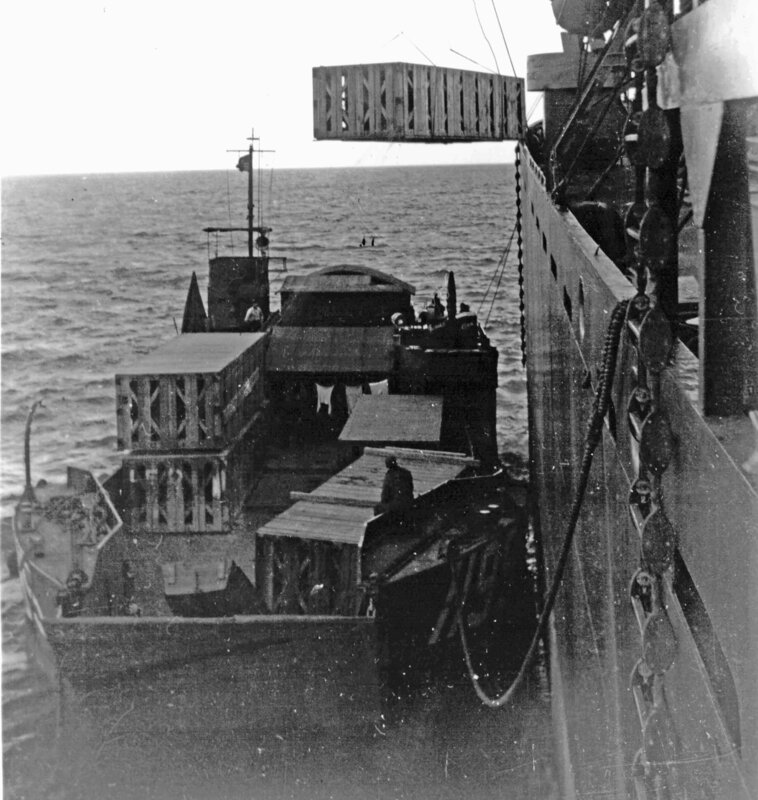 765k LCT-1195 moored outboard of LCT-513 at Okinawa in 1945. 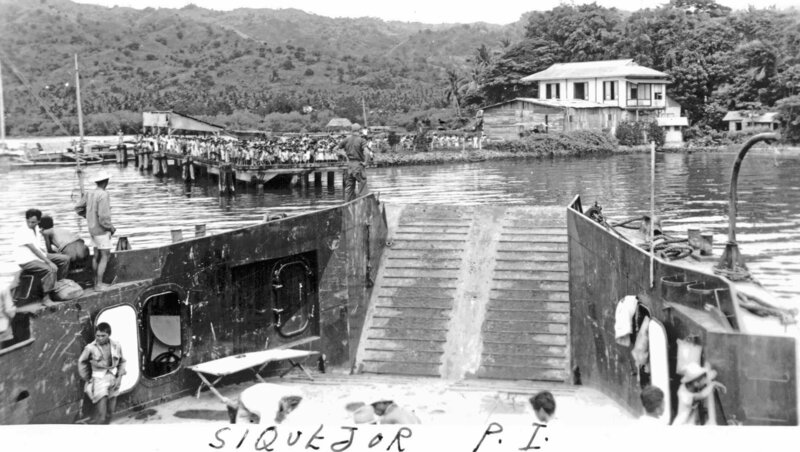 808k LCT-1195 approaching the dock at Siquejor, Philippine Islands in 1945. 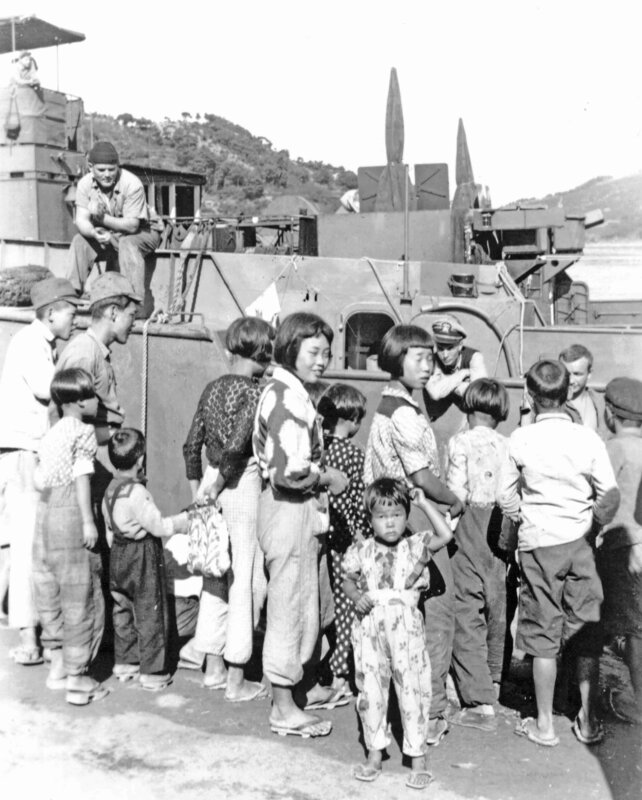 639k LCT-1195 moored at Honshu, Japan in 1945, with lots of curious children looking on. 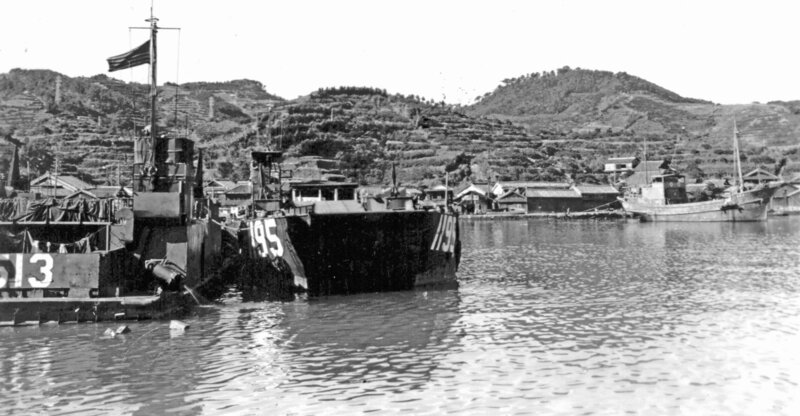 809k LCT-1195 alongside a ship while burtoning cargo at Wakayama, Japan in 1945. 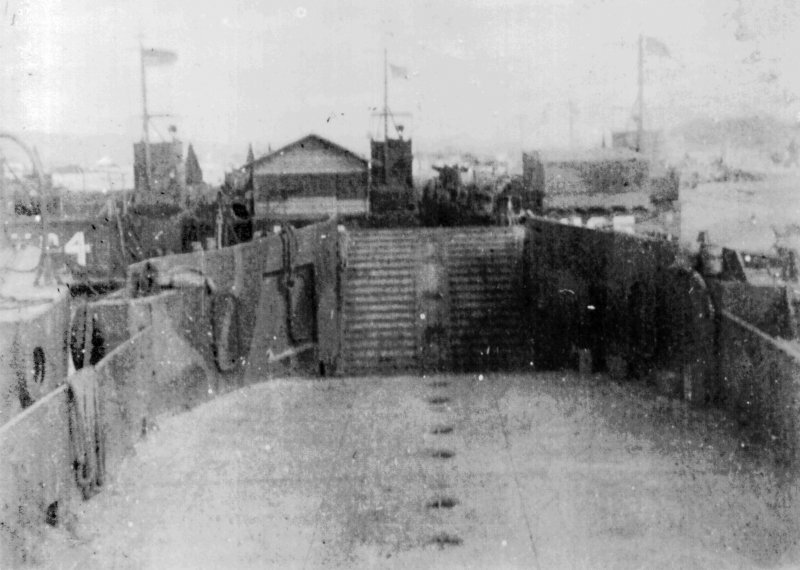 707k LCT-1195 along with another LCT loaded in the well deck of a Landing Ship Dock LSD at Wakayama, Japan in 1945.